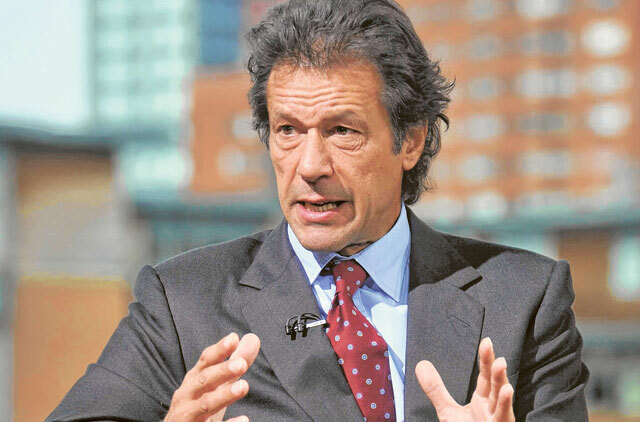 Dubai: Pakistani Prime Minister Imran Khan has no plans to watch India-Pakistan Cricket match at the Dubai stadium, said a senior Pakistani diplomat denying reports in a certain section of the press. “Watching cricket match in Dubai is not on the agenda of Prime Minister’s visit to Saudi Arabia and the UAE,” he told Gulf News. He said the Pakistani premier is going to Saudi Arabia on September 18 and he will visit Abu Dhabi on September 19 evening and then will go back to Pakistan after his official meetings. There was a buzz at the Pakistan team's practice session at the ICC Academy grounds on Tuesday about the possibility of the new Prime Minister Imran Khan stopping by to attend the marquee clash against India tomorrow. A news channel of Pakistan reported the possibility of the cricketer-turned-politiician's visit to the ground, though there is no such information available with Dubai Sports City authorities. "We have no information with us about his visit tomorrow. If he comes at all, it could well be later in the tournament," the spokesperson said. Khan is scheduled to meet His Highness Shaikh Mohammad Bin Zayed Al Nahyan, Crown Prince of Abu Dhabi and Deputy Supreme Commander of the UAE Armed Forces, on his return from Saudi.